SEOUL, Dec. 23, 2014 ― At the 2015 International CES® in Las Vegas, LG Electronics (LG) will showcase its new Music Flow Wi-Fi Series lineup for music and movie lovers worldwide. The lineup includes the company’s first battery-powered Wi-Fi Speaker (Model H4 Portable), advanced Wi-Fi Sound Bars (Models HS7 and HS91) and the Streaming 3D Blu-ray Player (Model BP550). These speakers are designed to be compatible with Android and iOS devices. Each LG Music Flow Wi-Fi device can be used independently or connected to one another device wirelessly, using Advanced Wireless Network and Dual Band Wi-Fi (2.4/5GHz) technology to deliver a seamless audio experience. 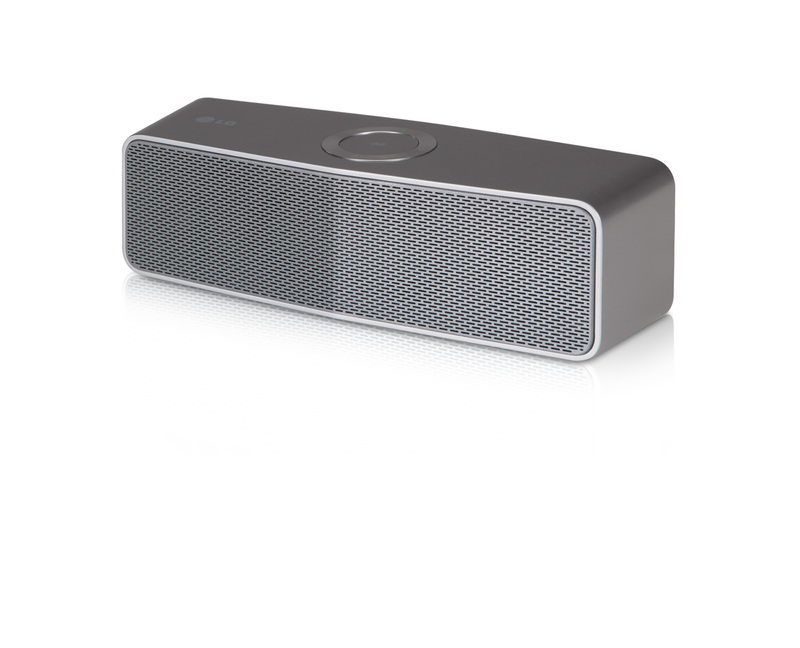 Unlike other Bluetooth speakers, streaming to a Music Flow Wi-Fi Series speaker from a smartphone continues uninterrupted when receiving a call. And if home libraries aren’t enough, users can stream music from service providers such as Spotify, Deezer, Napster, and TuneIn. The LG H4 Portable is the company’s first wireless speaker with a built-in battery for easy portability from one room to another in the home. The Music Flow Wi-Fi Series lineup also includes two Wi-Fi Sound Bars that deliver rich, full and immersive audio — the HS7 provides seamless HD sound while the HS9 offers outstanding, deep acoustics. LG Music Flow makes creating a personalized wireless home entertainment center easier than ever. 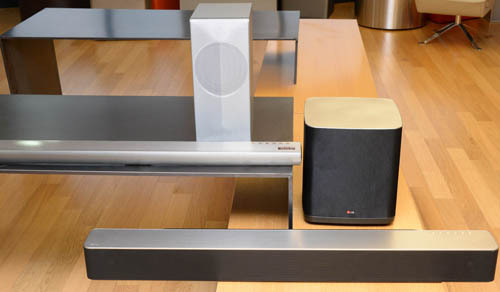 In Home Cinema Mode, users can wirelessly connect two of H4 Portable speakers to the Wi-Fi Sound Bar as rear left and right channels to completely immerse the viewer in surround sound. 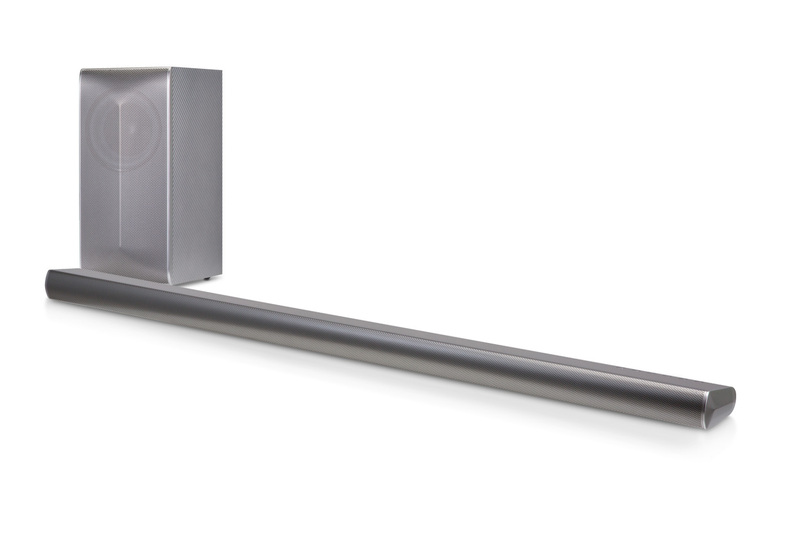 Each speaker can be individually set to match the desired environment based on the speaker’s position. 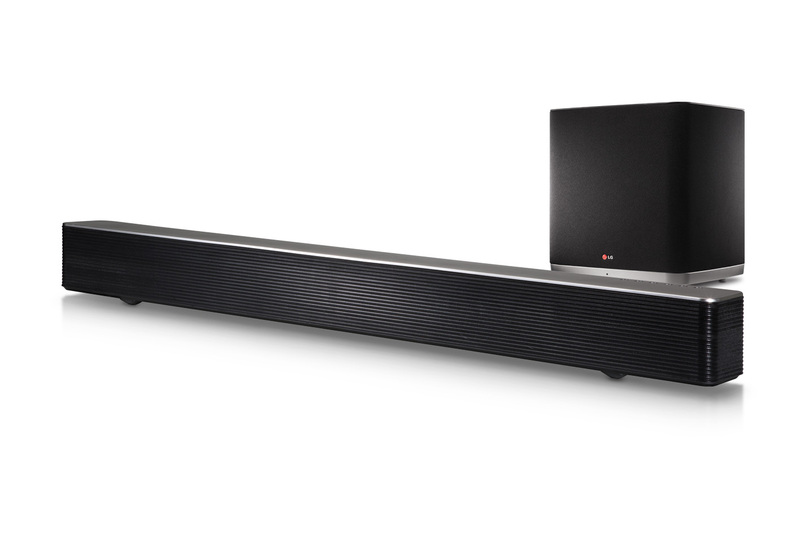 And LG’s BP550 Streaming 3D Blu-ray Player can be connected to Music Flow speakers to stream sound from any CD or USB drive. What’s more, the Auto Music Play feature gives LG Music Flow the ability to deliver a user experience that maximizes convenience for listeners on the go. Music on a smartphone will automatically begin playing on a Music Flow Wi-Fi speaker when the phone comes within one foot. So you could be listening to music on your headphones on the subway ride home but the music will begin playing automatically from your living room Wi-Fi Sound Bar when you enter your living room. The collection also comes with LG HomeChatTM capability that allows users to control the LG devices using the popular LINE free-text messaging app on any smartphone or tablet. Users can use this feature, basically sending a text to the speaker with simple commands such as “play songs for party” or “turn off music after one hour.” With HomeChatTM, LG Music Flow Wi-Fi Series can also act as a personal assistant, setting alarms and alerting users of upcoming events on command. Visitors to LG’s booth at CES 2015 (Las Vegas Convention Center, Central Hall #8204) from Jan. 6-9 can experience LG’s exciting new Music Flow products firsthand. 1 HS7 will be available as LAS750M and HS9 as LAS950M in some countries.